THE B-MOVIE NEWS VAULT: Umbrella Entertainment's September Genre Releases! Umbrella Entertainment's September Genre Releases! UMBRELLA'S SEPTEMBER ROSTER PROMISES WASHED-UP SUPERHEROES, GIANT CROCODILES, AND RAPEY GHOSTS! Umbrella's August releases were impressive, but their September lineup is looking absolutely fantastic! 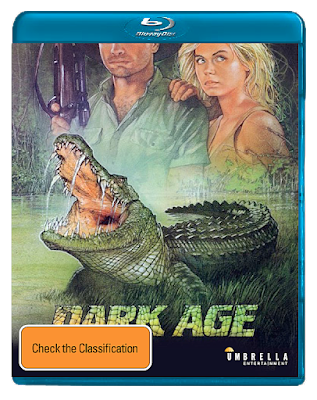 Out of all of their upcoming titles, I am personally most excited for DARK AGE, which hasn't seen a legitimate release here in North America since the halcyon days of VHS! 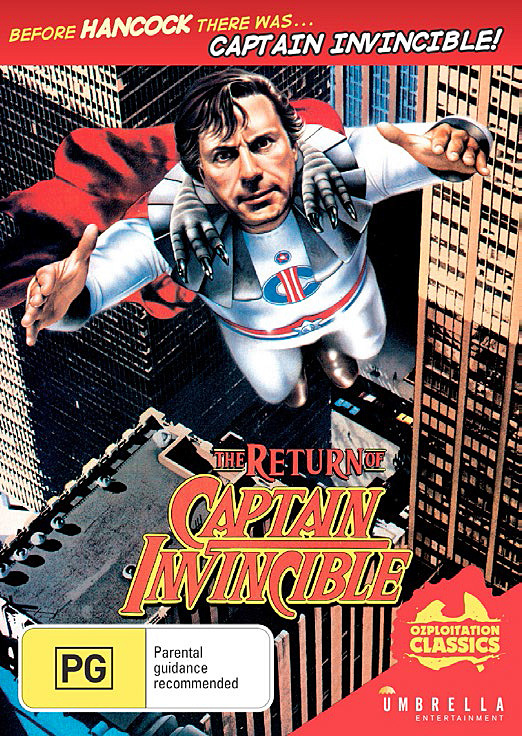 I'm also mega-excited for their new DVD of THE RETURN OF CAPTAIN INVINCIBLE, a superhero musical starring Alan Arkin and Christopher Lee that was directed by Philippe Mora (director of HOWLING III: THE MARSUPIALS and other cult favorites!). But enough celebrating: Continue onward to learn more about the following titles, which will be available on September 6th! Synopsis: A classic tale of terror from the golden age of Aussie exploitation, DARK AGE features outback stalwart John Jarratt (WOLF CREEK) as Northern Territory wildlife ranger Steve Harris, a stoic survivor charged with conserving the ever diminishing crocodile population from encroaching hunters, hell-bent on destruction of the species. Burnham, GROUND ZERO) and Adjaral (David Gulpilil, THE TRACKER) the intrepid foursome risk life and limb in a terrifying journey that will test their nerves and transform the tranquil Territory waters into a raging red torrent of death! 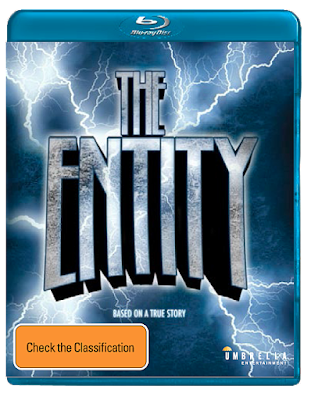 Audio Commentary with Actor John Jarratt and Executive Producer Antony I. Ginnane. Panel discussion with film historians Lee Gambin, Alexandra Heller-Nicholas, Emma Westwood, and Sally Christie. Synopsis: After single mother Carla Moran (Academy Award® nominee Barbara Hershey, BEACHES) is violated and attacked by a seemingly invisible force, she seeks the help of therapist Dr. Phil Sneiderman (Ron Silver, TIMECOP). Convinced Carla’s traumatic past is more akin to self-harm than anything supernatural, Sneiderman dismisses the wild claim. However, an insistent Carla invites two college students with an interest in the paranormal to visit her house in order to help her foil another visit from her terrifying invisible attacker. This title will also be available on DVD! Finding a Voice: A Conversation composer Charles Bernstein. 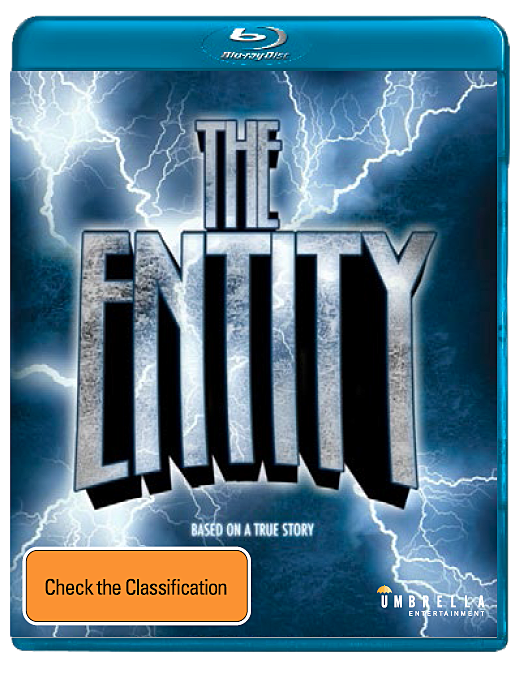 Robert McNaughton Remembers The Entity. Synopsis: "Welcome to your new home... moving in was the easy part." 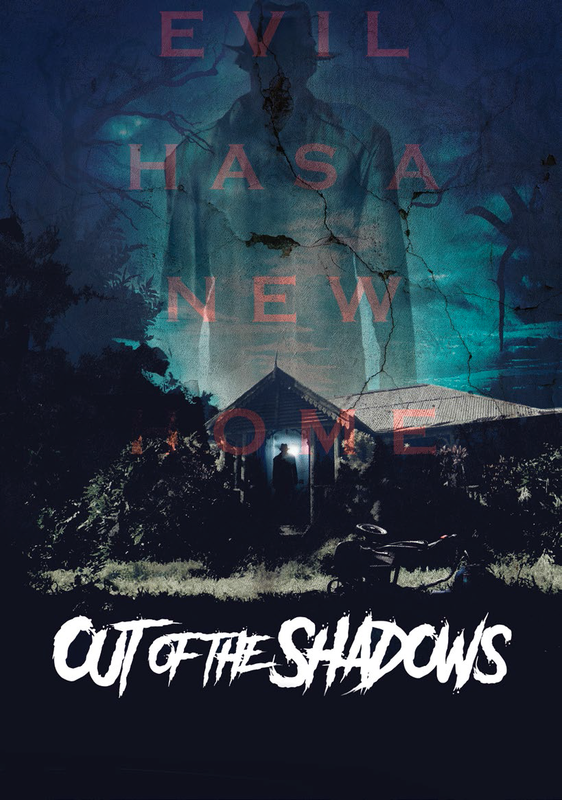 Unaware of its dark and sinister history, a detective and his pregnant wife move into their dream home, sparking a chain of events destined to haunt them beyond their wildest nightmares. Fearing their baby is being tormented by a supernatural force they seek the help of a renegade demonologist who must investigate the past to save the family. OUT OF THE SHADOWS is a terrifying tale of suburban mayhem in the creepy tradition of INSIDIOUS, THE CONJURING, and THE BABADOOK! Synopsis: Starring Alan Arkin (EDWARD SCISSORHANDS) as the most unusual of superheroes, and Christopher Lee (THE LORD OF THE RINGS TRILOGY) as his devilish archnemesis, this is a classic superhero satire! 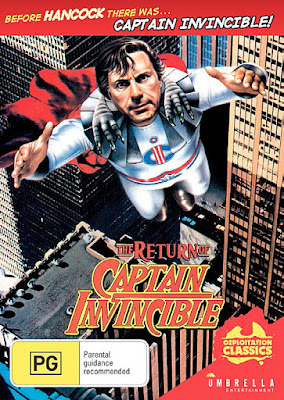 WWII Veteran Captain Invincible (Alan Arkin) was a national hero until labelled a socialist during the anti-communist witch hunts of the 1950s. enemy Mr. Midnight (Christopher Lee) is back, and has stolen the US Government’s latest super weapon. Can the Captain get on the wagon and learn again to soar? Or will Mr. Midnight and his army of henchmen destroy the world? 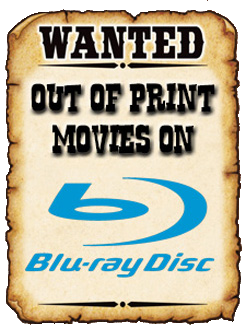 All of the DVDs and Blu-rays mentioned in this post can be ordered directly from UMBRELLA ENTERTAINMENT, and are Region Free!